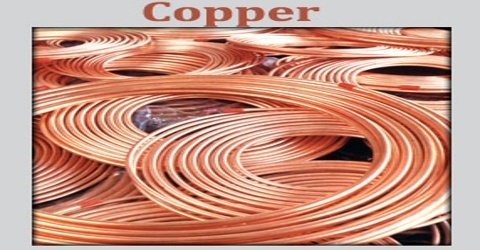 Copper is a reddish-brown, ductile, malleable metallic element that is an excellent conductor of heat and electricity. It is the 29th element on the periodic table and is a transition metal. Its atomic number 29; atomic weight 63.546; melting point 1,083°C; boiling point 2,595°C; specific gravity 8.96; valence 1, 2. It is widely used for electrical wires, water pipes, and rust-resistant parts, either in its pure form or in alloys such as brass and bronze. Copper is reddish-orange and has a bright metallic luster. With weathering, copper can become coated in a dull-green tarnish of copper carbonate called verdigris. It was the first metal to be smelted from its ore, c. 5000 BC, the first metal to be cast into a shape in a mold, c. 4000 BC and the first metal to be purposefully alloyed with another metal, tin, to create bronze, c. 3500 BC. Copper is essential to all living organisms as a trace dietary mineral because it is a key constituent of the respiratory enzyme complex cytochrome c oxidase. In molluscs and crustaceans, copper is a constituent of the blood pigment hemocyanin, replaced by the iron-complexed hemoglobin in fish and other vertebrates. 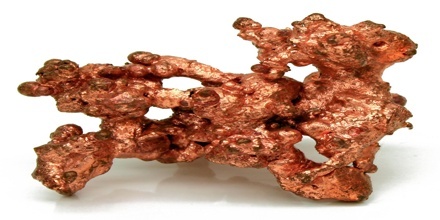 Copper is resistant to corrosion, and is a good conductor of heat and electricity (second only to silver). Because it is an element, copper can be perpetually recycled, without losing its properties. These properties can be adapted for specific uses based on whether it is used alone or alloyed (mixed with other elements). The most common copper alloys are bronze (copper and tin) and brass (copper and zinc), which are harder and stronger than copper. About two-thirds of the copper on Earth is found in igneous (volcanic) rocks. About a quarter occurs in sedimentary rocks, according to the USGS. The metal is ductile and malleable and conducts heat and electricity well, explaining its use in electronics and wiring. Copper turns green because of an oxidation reaction; that is, it loses electrons when exposed to water and air. The resulting copper oxide is a dull green. This oxidation reaction is the reason the copper-plated Statue of Liberty is green rather than orange-red. 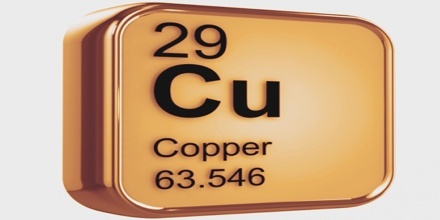 According to the Royal Society of Chemistry, copper, meaning ‘from the island of Cyprus,’ received its name based on the large amount of copper the Roman Empire acquired from Cyprus. Copper has been in use at least 10,000 years, but more than 95% of all copper ever mined and smelted has been extracted since 1900, and more than half was extracted the last 24 years. As with many natural resources, the total amount of copper on Earth is vast, with around 1014 tons in the top kilometer of Earth’s crust, which is about 5 million years’ worth at the current rate of extraction. 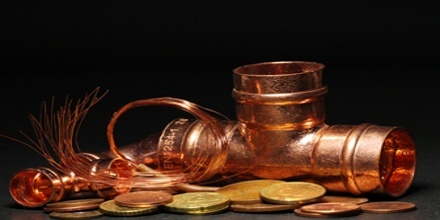 Copper has been used for thousands of years; it may have been discovered as early as 9000 BC in the Middle East. Early artifacts discovered were made of native copper and included utensils, tools, weapons, piping, ornaments, and jewelry. 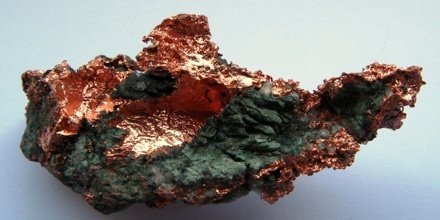 The largest deposit of native copper discovered to date was found in Michigan at the Keweenaw mines (Wood, 2001). Native Americans mined copper in this area between 5000 and 1200 BC, as evidenced by copper knives, arrows, spearheads, and axes. These types of artifacts have also been found throughout North and South America. In addition, copper is antimicrobial, and may be used in personal products such as socks, as well as handles used in hospitals, and tables used in kitchen restaurants. Reference: livescience.com, dictionary.com, superfund.arizona.edu, wikipedia.